December 6, 2018: We Need Technology! We were one of nine sponsors for this project! 4th grade at Carlisle County Elementary School. Bardwell, Kentucky. Information about this project as written by Mr. Wright. My students are extremely talented, hardworking and love to be challenged. They soak up information like sponges and crave knowledge. They thoroughly enjoy the science activities that we perform on a weekly basis and have great ideas on how to make changes to produce different results. My students make teaching an enjoyable experience every day. However, we are lacking in the area of available technology to help them grow and get the most out of their science curriculum. Please help these wonderful students to become the best and brightest they can be. Stemscopes is a great science curriculum with tremendous online capabilities. There are many fantastic activities and learning videos that students can access. They can even take quizzes and tests online, including short answer and extended response questions. Tablets limit the capabilities slightly and printing off the activities does not fully engage the students. 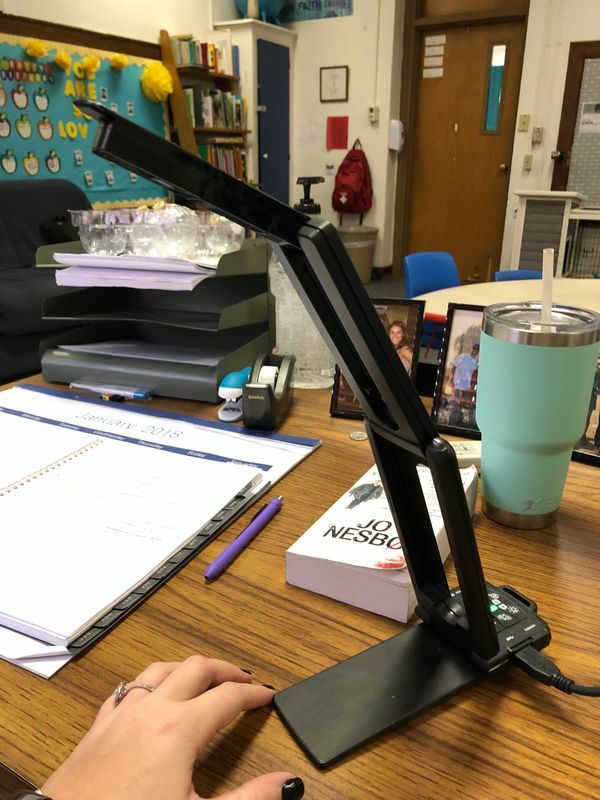 I am trying to build a classroom set of laptops so that students can get the full effect of the science curriculum and get the most out of learning. These Chromebook laptops can also be used to perform research, create learning opportunities, and develop skills that will last them a lifetime. March 5, 2018: Mrs. Bark' Classroom. Reidland Elementary School in Reidland, Kentucky. There were 8 donors for this project. This is the project in her words. I have a great group of 3rd grade students who are eager to learn through hands-on technology. As a teacher in a low-income/high poverty school district, our students are faced with many difficulties both in and out of the school setting. Our whole school is now on free lunch due to the fact of low income in the area. Our students do not have the opportunities that most children have because of the challenges that come with their families because lack of money. 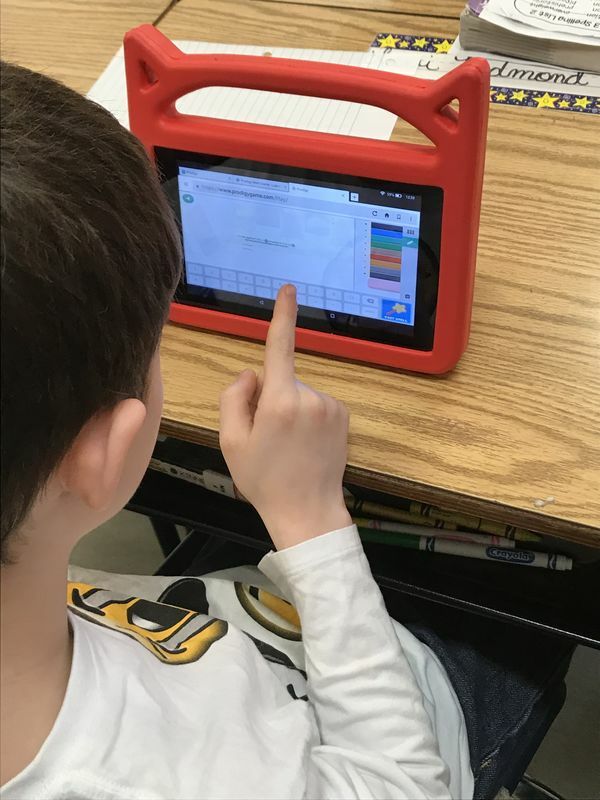 Five Amazon Fire tablets with cases will help my students in many ways. First, they will be able to do Reflex Math. 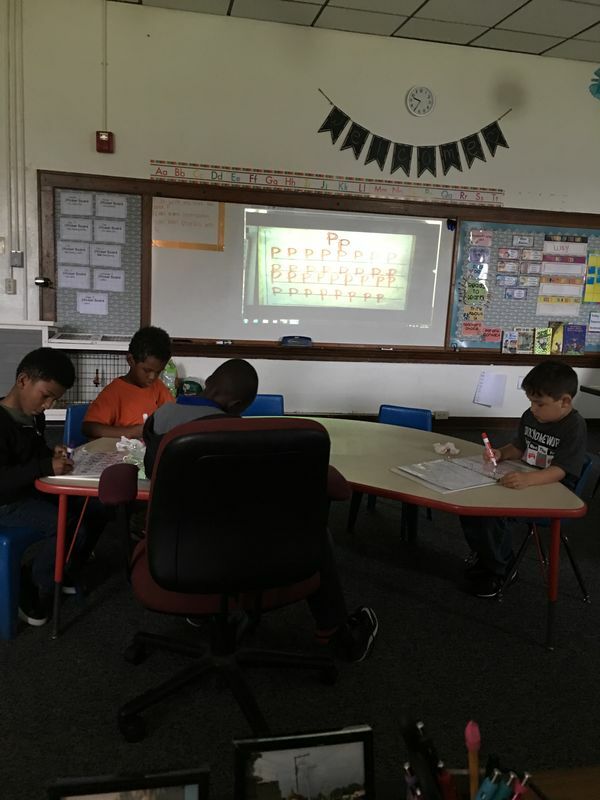 This program allows students to memorize multiplication and division facts by the use of games. Moby Max is another program that I love. My students get to practice reading skills, math, science, social studies, and vocabulary, all in one program. The best part about it is that is is customized to each child's level. IXL is another program that my class likes to use. This program has math content for each grade level. All of these programs allow skills to be reinforced after I have taught them. This project was for Reidland Elementary School in Paducah, Kentucky. We are blessed to have access to nine computers in my classroom. My students use them to take Accelerator Reader tests, and complete several other computer programs that we are, once again, blessed to have access to! We desperately need headphones, in order to have a private learning experience. We have access to several computer programs that allow students to master skills on their own level, and at their own pace. Learning needs to be private, and without headphones, it is not! My students deserve to learn in a private setting. Please help us! We use our computers everyday! Thank you so very much! December 2017. Mrs. Trovillion’s Classroom. Children Love Coding! This project was for Jefferson Elementary School in Massac County. Mrs. Trovillions 2nd grade classroom. We were one of three donors to this project. Here is the project in her words. 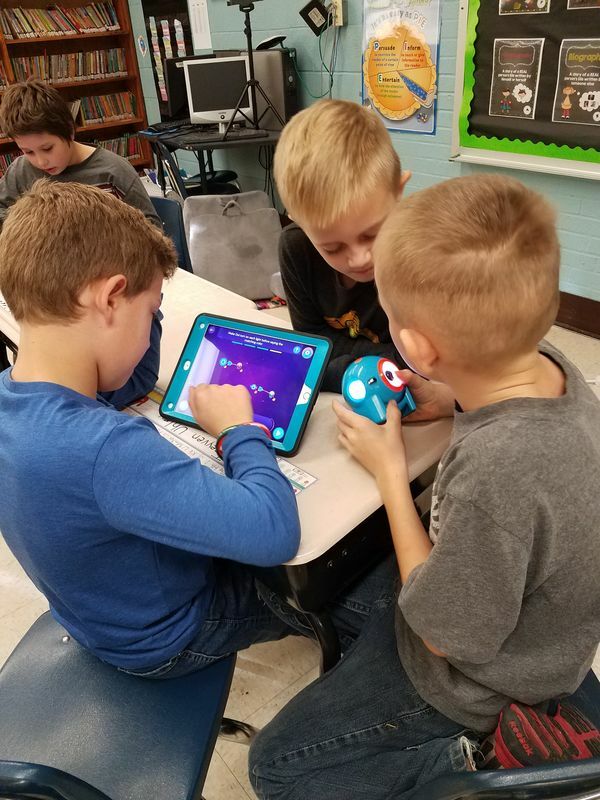 My students need the Dot robots and an iPad to learn about coding. A day in our 2nd-grade classroom is filled with learning and hard work. Our school is in a rural area, and the students that I teach come from a wide variety of backgrounds. Our class motto is "Work hard, try hard, never give up." I set high expectations in the classroom and students strive to do their best, be creative and work hard to meet their goals! I look forward planning creative lessons and projects as much as my students enjoy working on them! 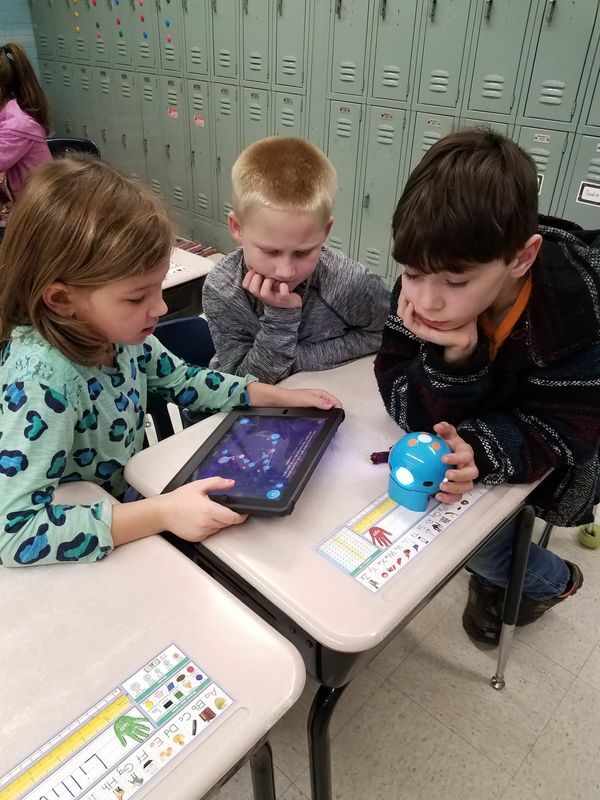 My students need Dot robots and an iPad to learn about coding. Children want to learn how to code. They want to learn how to make tablets do useful things. They want to learn how to build websites and control robots. It's actually a very cool thing to them. What really matters are the lasting benefits of building skills such as logical thinking, problem solving, collaboration, and communication. The earlier we introduce children to coding, the more comfortable they will be when presented with more in-depth learning opportunities in middle and high school.Early exposure to coding helps teach children how important it is to understand computers as the valuable tools they are rather than just fun playthings.We plan to use coding in our classroom as part of our STEM projects to promote problem solving and other important skills the students need to be successful. Fostering a Love of Reading With TOON Books! Paducah, Kentucky. Here is the project in Mr. Wyman's words. My students need TOON Graphics reading materials that are meaningful and authentic to their experiences and interests. I am hoping to purchase the “10 Prize-Winning TOON Graphics for Middle Grades.” These books will enable my students to gain a wealth of information, entertainment, imagination, and emotion. These books will stimulate my student's growth in reading and imagination. Through a mix of genres, including narrative and informational texts, students will be able to meet their literary goals and expand their knowledge base. They will also be exposed to many of the great myths and stories of classical literature in a format that is both fun and relevant to them. These books will not only establish and update my classroom library, they will also be valuable resources that my students, many of whom do not have access to books outside of school, will cherish and benefit from, not only this year, but for many years to come. December 4, 2017. North Calloway County Elementary School Chromebook Project. Beau Dodson Weather in your community. Here was the project. We matched this donation to help purchase the computers. I worked all summer to teach my students using digital tools. Now that the teacher is trained to lead, we need these resources to move to the next step in our success. We will complete projects, research, and presentations using Google tools. We will also challenge ourselves using various apps. These resources will help all students shine. We will be engaged in reading and writing and always ready to learn. By using Google Classroom, it will be easier to meet the needs of all students. We would thrive with this technology.